Regardless of where you live, there’s a good chance you can take advantage of a free wifi hotspot, such as McDonald’s or even the local mall. It seems as if anywhere you go, there’s a WiFi spot you can take advantage of for free, right? What if you wanted free internet aside from the well-known places like McDonald’s? 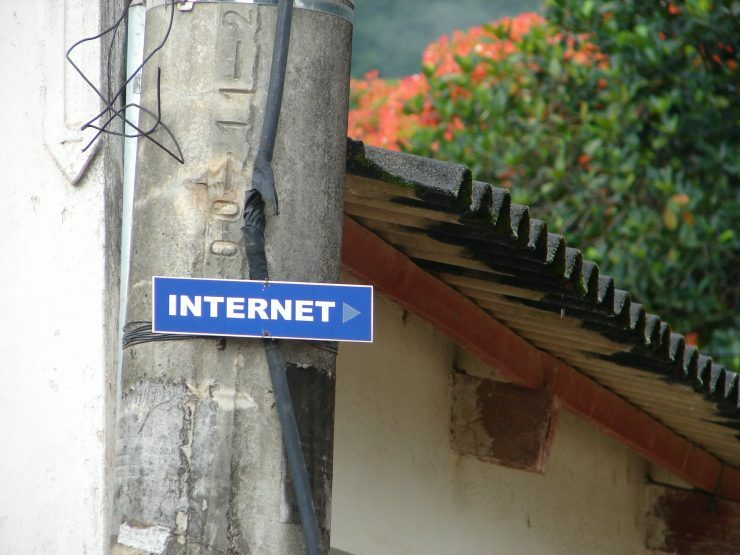 The good news is that there are actually legal ways to get free internet, even at home! I created this list to help those who either just want to save money, like me, or maybe you’re short on funds and need the internet for school or for work. I really hope this list can find you well and you can connect to the great world wide web in no time. Before I get started, however, NOT all of these options will work in the comfort of your own home, but I thought I would add it for educational purposes. Also, as the list continues, I will dabble with lower costs options, which can cost as little as $5 a month from big-name companies like AT&T. I’m not sure if you have heard of the company, FreedomPop, but they have been around for quite a while. In fact, if you’re a fan of the website, SlickDeals, you will commonly see this company pop up on the forum threads. With FreedomPop, yes, you can get 100% free internet; however, you do have to pay a small activation fee ($9.99 at this time) and charges can appear if you don’t pay attention to your data. Yes, but with limits, of course. I’ll explain. With Freedompop, the first 500MB is free every month on the 4G only plan, and if you go over, you will be charged, which I get into in a minute here. Now, 500MB is not a lot as 20~ hours of just surfing the web, like a website such as this one, can easily reach your limit. To know your limits, check out this AT&T calculator to see how little 500MB actually is. In a nutshell: it’s not a lot! 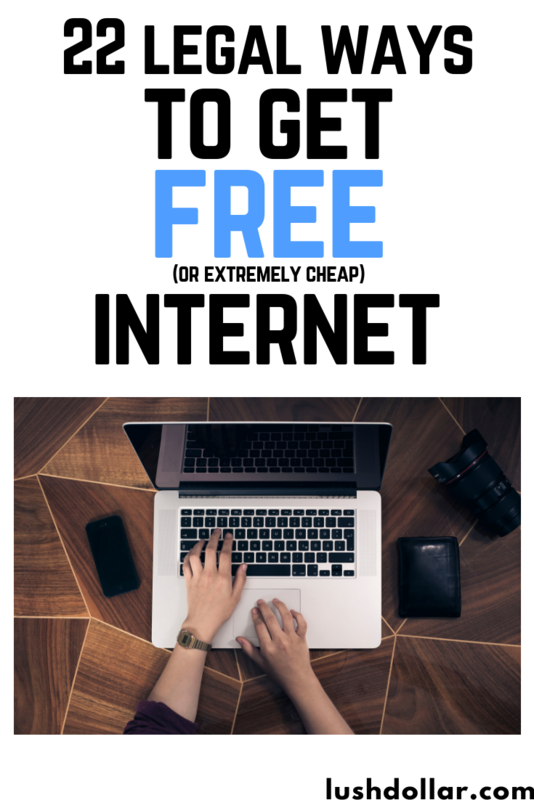 While it is free, there are no restrictions or income requirements and could come in handy if you needed to connect to the Internet for a few minutes as the equipment they give you is portable since it works like a hotspot. This program is open to everyone — yes, even if you make one million dollars a year. The All Free ISP website, albeit a bit older looking in terms of design, is actually a helpful tool to help find local services in your area that currently offer free internet services. Consider it a database of most of the internet providers in your area that can help you sign up with free internet service. While most of the ISP companies were dial-up providers when I did a quick search, the broadband companies, which were listed, had lower tiered plans if you were eligible for the program. I could not find any free broadband providers, even if you qualified, but of course, this could change in the future. Another website I found that was similar to All Free ISP was CheapInternet.com — a website that listed low-income internet option, filtered by state. 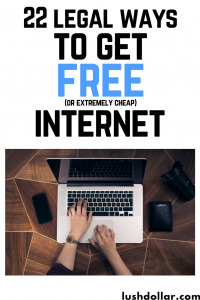 Want free internet? Activate a FreedomPop mobile hotspot, get free wireless internet every month. EveryoneOn is a non-profit. apart of a government partnership, and is available nationwide that connects everyone to the internet. 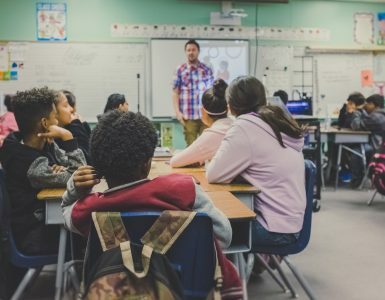 They feel the Internet provides real-life educational and economic opportunity and without it, people can face significant challenges and barriers, all of which I agree with! To date, the company has connected 600,000+, with the ultimate goal of connecting more than one million. Then, if you do qualify, the company will present you with offers with providers in your area that work with the organization. As an example, I checked off the top four boxes in the screenshot above and was presented with three local Internet options, which started at $9.95 per month. Unfortunately, my area (Phoenix, Arizona) did not have free internet services and I cannot guarantee your area will as well. It doesn’t hurt to check, however, as the search function is free! To see, head to the official website to see which ISPs work in your zip code as you never know if you can qualify. Hey, even if it isn’t free, you could pay as little as $5 to $10 with a big-name Internet provider. If you already have a cell phone and/or internet service provider, there’s a good chance that company offers company-owned or even affiliated hot spots around the country. These hotspots, believe it or not, are not always found in a public place as sometimes, they are provided with neighborhoods or a community. Most of your well-known providers, such as Xfinity, Spectrum, Cox, and AT&T offer these hotspots, and to find one, you could either search for one by going to the official website, or in some circumstances, some of these companies may have an app you can download to help you find a hotspot on the go. Now, I know you have to pay for service already, but if you already have a cell phone, these hotspots could come handy since you do need to log in with your credentials to access it, meaning it can be much more reliable than your local McDonald’s. If you do not mind using these hotspots on the go and using your cellular data at home, then there’s really no reason for an internet provider unless you do a lot of gaming or do not want to watch your Netflix on a tablet screen, of course. Juno offers free dial-up services, allowing you to surf the web for up to 10 hours a month, with thousands of access numbers nationwide. Sure, while it is a dial-up service, you could sign up for a Juno account and a NetZero account as noted below to receive up to 20 hours a month in total. While it may not seem like a lot, it could come in handy if you needed the internet to research something quickly or even look up a simple website. Juno could work if you just wanted to check an e-mail or browse a website, but unfortunately, it will not work well with any social media platforms, YouTube, gaming and so on. Remember, it’s dial-up we’re talking about. Of course, let’s not forget the local library, and yes, I know, it will not be free internet for home use, but almost every library in the United States offers free internet access and a computer if you need it. Yes, plus the desk. A library can work wonders as it’s often a quiet place to surf and libraries usually just want you to become a member to start surfing the web. While some may have limits as to how long you can surf, most libraries are surprisingly pretty laid back as to what you do when you’re on the computer. Of course, nothing illegal here, but I think you get the point. If you have a library nearby, this is actually a great place to consider, especially if you do not feel like lugging around your laptop. Believe it or not but there are a lot of cities out there that offer free internet access to both its residents and visitors. Depending on your city set up, it may spread across town or could only be accessible in a park, transportation center and/or popular spot, for instance. If you do not know if your city currently offers free internet, this Wikipedia entry seems to add locations as they appear. If your city offers it, in some cases, the signal is sometimes powerful enough to actually reach your home. Check out the WiFi access points available near you and Google some to see if any come up as a municipal hotspot. I’m not sure if you’ve heard of NetZero before, but I actually used this service when I lived at home almost 20 years ago. Since my dad didn’t want to pay for dial-up services, I found NetZero, a free dial-up internet provider. Well, to my surprise, the company still exists to this day, offering mobile Internet services for free. Now, don’t laugh at me, but the company offers a free dial-up service, which limits you to 10 hours — yes, dial-up, but since it’s free, we can’t complain, right? Aside from the dial-up services, the company also offers a free mobile data plan, which just like the Freedompop service, only limits you to your first 200MB. If you were to combine the two services, I suppose, you could have 700MB a month for free, but again, even at that threshold, it’s not much. Everyone will be eligible for the NetZero service, but reading the fine print, the company will charge you $25 per incident if you do call the company for technical support. I tried to focus on ways to get free internet inside of your home, but if you truly want unlimited coverage, you may want to consider downloading the free WiFi map app — an app which not only shows you where free WiFi hotspots are available but the passwords to gain access if it asks for one. At the time I published it, they had more than 100 million locations and I was actually quite surprised at how many locations actually showed up near my home. If you do not mind packing up your backpack with your laptop and heading to a hotspot, this is by far the best and easiest way to get unlimited data… for free. If you know your neighbor, consider asking them if you can use their WiFi from time to time and even consider pitching in a few dollars if you plan on using it excessively. Your neighbor may be open to it and the signal may not be too bad as long as your home is within a few feet. Even so, if you purchase a Wifi extender and install it inside of your home, it could increase your signal. Now, if you’re going to do this, I highly recommend only using the internet occasionally as many internet providers today are placing data caps on accounts, meaning that many have to pay extra once they hit the threshold, usually around 1TB. While this is hard to meet, it could be much easier if two households are playing games, watching Netflix, etc. Don’t be greedy! While there are a lot of great free options, I also wanted to include some programs that can cost as little as $5 a month if your household qualifies. Sure, while it isn’t free per se, paying $5 or even $10 a month is a lot better than paying more than $60+! 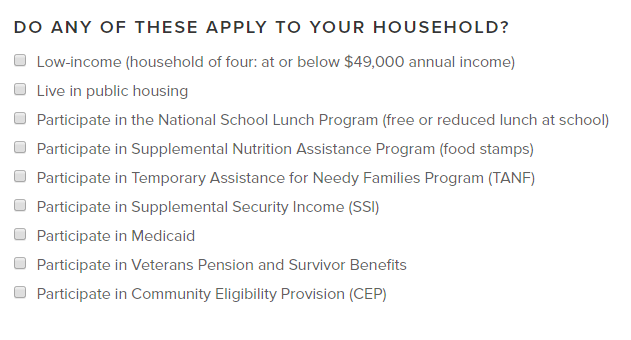 If your household does not receive any government household assistance, then I wouldn’t recommend going on, but if you do receive assistance from SNAP, social security and/or your child is part of the National School Lunch Program, then you may only have to pay a few dollars a month for your internet access if your local provider offers it. AT&T offers plans as little as $5 per month if your household qualifies via its Access by AT&T program. Depending on your address, the speeds will vary, but glancing at the website, the company offers five programs: 768 kilobits, 1.5 megabits per second, 3 megabits per second, 5 megabits per second, and 10 megabits per second, all ranging from $5 to $10 per month. No deposit, commitment and installation fee is necessary, and best of all, AT&T will also include an in-home home gateway and access to the entire AT&T WiFi hotspot network free of charge. If AT&T is in your area and you meet the requirements above, then by all means, apply today to pay that low rate. Cox Communications offers $9.95 a month Internet access for qualifying households, with no deposits or annual contracts required. 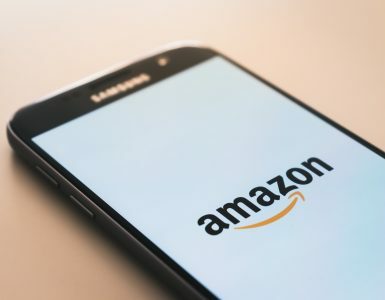 If you meet these guidelines, then you can apply on the official website, where a representative will help you enroll and get you connected. Yes, the company that most people seem to hate, Comcast, offers a $9.95 a month program for households that qualify, similar to that of the Cox program mentioned above. This program requires no credit check, no installation fees, no long-term contract and customers receive up to 15 Mbps in speeds. Those who qualify will also have access to 40 one-hour sessions on the XFINITY WiFi hotspots located outside of the home every 30 days. Honestly, this seems to be one of the best programs out all of the carriers I researched. Clicking the “learn more” button, it appears you need to fill out an application, wherein you’re instantly approved as long as you meet the guidelines of the program. Don’t think about cheating, however, as you will need to send in documentation to complete the process. Another item on my list IS NOT free, but I felt I should add it because it’s actually a really cheap option, especially if you want to pay as you go. With Karma, you will receive an LTE hotspot, small enough to fit inside of your pocket and up to eight hours of usage per charge. Now, both of these hotspots will cost $199 to purchase, but the plans, if you were to choose a “pay as you go” plan, would only cost $3 a month plus $10 per GB you use. Again, this isn’t free, but it could be a great choice for users who do not use a lot of data each month. Everyone, like the FreedomPop option mentioned above, can sign up for this plan. PCs for People is an awesome program which refurbishes laptops and desktops to send out to eligible recipients. Every desktop they send out comes fully equipped, including Windows 10, and a mouse, keyboard, and monitor, all at no additional cost. In addition to these PCs, the company also offers a high-speed 4G LTE service for as low as $10 per month, which requires no hidden costs or credit check, again, as long as you qualify. This program could be something to consider if you need a desktop/laptop and you need the low-cost Internet service. To see if you qualify for the program, you will need to prove your income and send in the required documentation to get approved. You can learn more by visiting the company’s official eligibility link. Spectrum, like most of the major conglomerates mentioned prior, also offers high-speed Internet at affordable speeds if you qualify. With Spectrum Internet TM Assist, they offer high-speed 30 Mbps Internet speeds with no data caps, an internet modem and no contracts. Now, there are many more programs offered by big-name ISP companies, similar to the ones I mentioned above, but I do not want to go into detail with most as some programs are limited to a few states. I do not want to babble for too long. If you’re on some sort of public assistance, then I would highly recommend you contact your local big-name ISP provider to see what you can do to get on the low-cost plan ASAP as most of these plans are going to cost you less than $10 a month and will offer you good enough speeds to surf the web, play games and even watch videos. If you live in an area with an ISP company, then there’s a GOOD chance they offer a low-income option. For starters, I would highly recommend you sign up for an unlimited data plan with your cell phone provider and use the hotspot at home. Be careful, though, as the hotspot will only allow so much data, even if you have an unlimited cell phone plan. T-Mobile, for example, offers unlimited 3G speeds, but AT&T, Sprint and Verizon, all limit you to about 10GB on your hotspot. If you do not play games and do not want to watch shows on your TV, then I would personally stick with your cell phone plan and limit your hotspot activity. Now, I know it can be hard to watch TV and play Xbox on your tablet and cellphone, I understand. If you’re super frugal, then maybe the dial-up plans could work in an emergency scenario when you need to check e-mails or a website for school work, etc. However, remember, you will need a phone line to use dial-up, so you may be better off using that landline money toward high-speed internet access. In the end, if you do not qualify for assistance and truly want free internet, I would recommend either using the free WiFi spots around town or if you do not use the Internet a lot, then I would pay as you go via the Freedompop device. Do not consider this, however, if you watch a lot of Netflix on your TV and play video games. It just isn’t worth it. For me, I just haggle with my internet provider, so for now, I pay about $50~ a month, but I find the price worth it since I watch Netflix, DirecTV Now and play a lot of games. I also use these free TV channel strategies. The same can be said about my kids. With TV and the Internet, I pay less than $80, so I’m happy about that! If you know of any free alternatives or want to share your strategies, I would love to hear them!